We offer the most advanced, minimally invasive, non-surgical cosmetic procedures available. 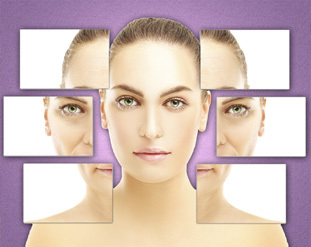 At Renew Medical Aesthetics, we pride ourselves in providing the best anti aging products in Junction City KS and neighboring cities in Kansas. 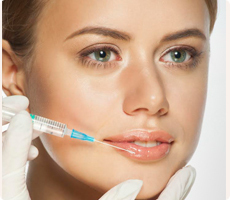 We are one of only a few facilities in the area where microcannula filler injections are performed. While at this time we do not offer the full range of services usually found in a medical spa, we do perform all of our aesthetic procedures in a comfortable and confidential manner. For maximum safety, all of our procedures are performed by a medical doctor - instead of a nurse. A dermal filler is the quickest way to freshen up your look and improve your appearance by restoring lost volume and smoothing out folds and wrinkles. Collagen was first made available in the 80's, and although it's no longer available for potential allergic reactions, its place was taken by the modern hyaluronic acid dermal fillers. With only minimal discomfort and very little to no down time, you can get a more youthful & rejuvenated appearance by replacing areas of volume loss with dermal filler. By using a microcannula or small blunt needle for your dermal filler placement, we have been able to reduce the procedure bruising by 80-90% so you could essentially get this procedure done "at lunch time".